Click the button below to add the T-SHIRT, UNISEX LIGHTWEIGHT LONG SLEEVE HOODED to your wish list. Lightweight Long Sleeve Hooded T-Shirt, 4.5 oz., 100% combed ringspun cotton, heather colors are 60/40 polyester/ringspun cotton, relaxed unlined hood with contrast drawcord, double-needle neck, sleeve and bottom hem. 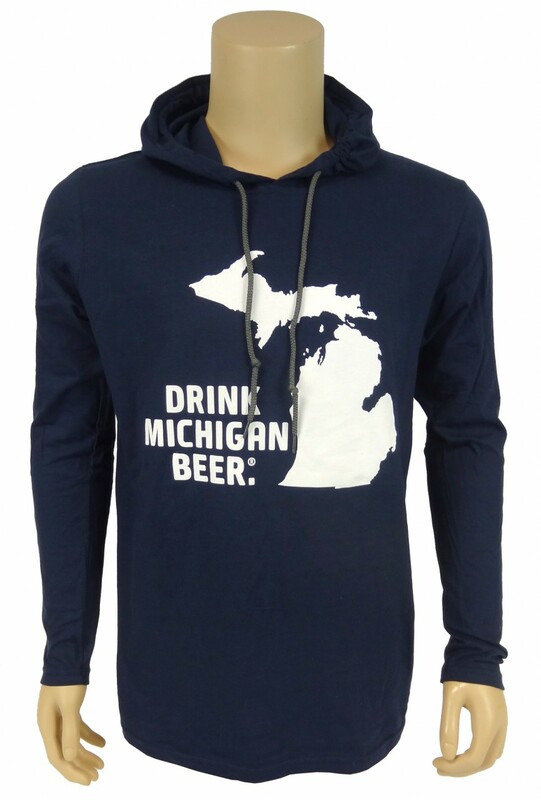 Drink Michigan Beer logo on the front in White, and Michigan the Great Beer State logo on the right shoulder in White.